Today's featured name comes from this week's list of The Very Best C Names for Boys and Girls! While there are plenty of great C names, Conrad is the one that caught my eye. 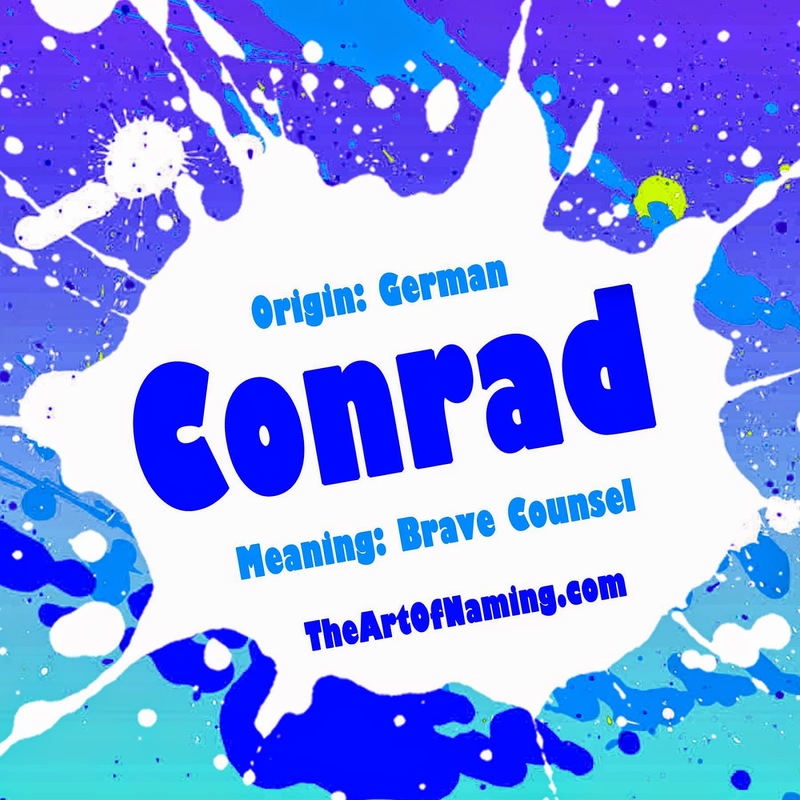 Conrad comes from the Germanic elements kuoni and rad that, when combined, mean "brave counsel". This moniker comes across as strong and interesting. It is well-known enough to work for a modern boy but it is also rather uncommon which would make it refreshing to hear. As far as Con- names go, it falls into a sweet spot: it is bolder than Connor but not as bold as Constantine. In history, Conrad is both saintly and regal having been used by a 10th-century saint from Germany as well as several medieval German kings and dukes. England had a bit of love for the name during the Middle Ages but it wasn't common until the 19th century after being reintroduced there by the Germans. In the US, Conrad has been used consistently every year since at least 1880. It has never been popular though. Its highest peak occurred in 1931 when 585 babies were named Conrad. These days, there were 343 boys born in 2013 with the name for a ranking of #691. Can you think of any other names that might pair well with Conrad either as a sibling name or a middle name? What do you think of this name? Share your thoughts in the comments below! So you're expecting a baby soon. Congratulations! What name will you choose? If you're still a bit stumped in that regard, perhaps you'll enjoy this simplified list of ideas. In this series of posts, I cut out a lot of the work for you. I'm saving you from hours of browsing through endless lists of thousands of baby names. 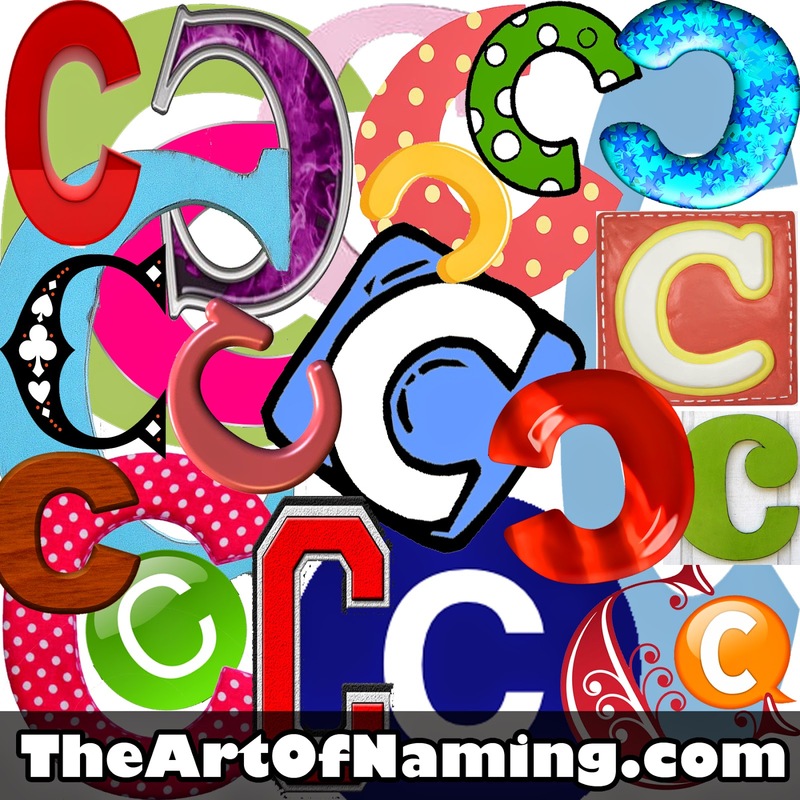 Here you'll find fifty of the best names that start with the letter C. That's 25 per gender and there's a little bit of something for everyone. These mostly follow American ideals but they can also work abroad. Isn't it nice to have the best of the best laid out before you? So, which one have you chosen? If you're still not entirely sure, maybe C isn't the letter for you. Remember, there are 25 other letters to explore and I'm covering all of them. 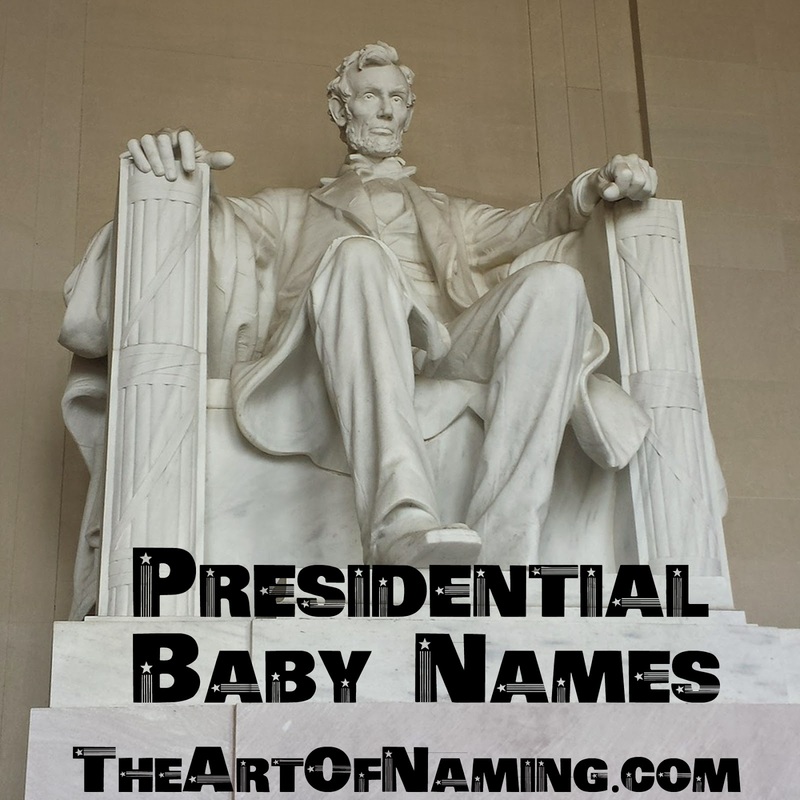 Today's featured name comes from this week's list of Presidential Baby Names. It is one of the greatest names that belonged to one of the greatest presidents: Theodore. 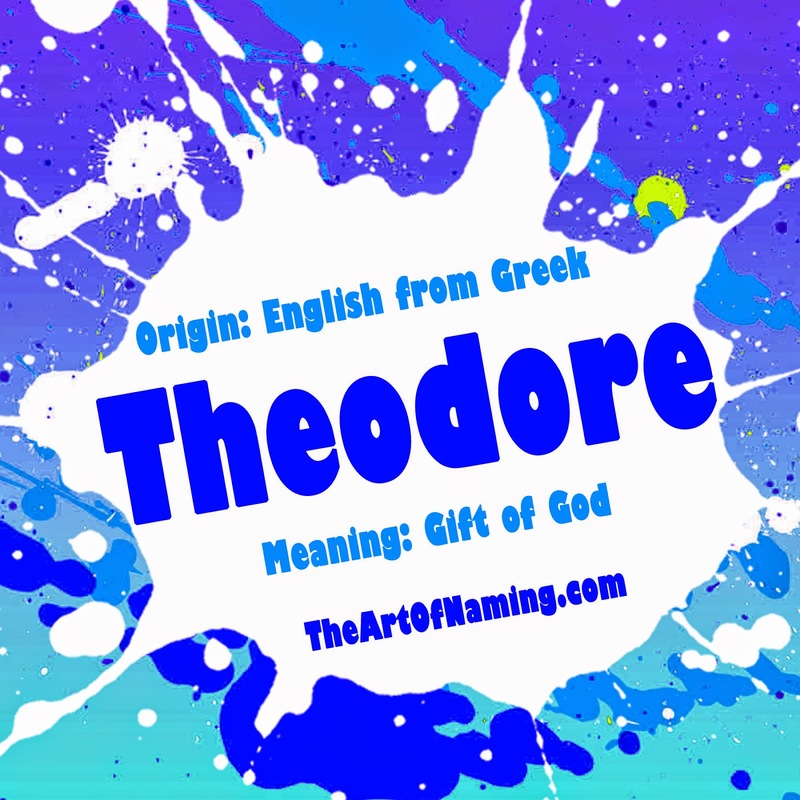 The name Theodore comes from the Greek name Θεοδωρος (Theodoros) meaning "gift of god". In the past, this name has belonged to several saints. There was Theodore of Amasea, a soldier from 4th-century Greece; Theodore of Tarsus, the 7th century archbishop of Canterbury; and a 9th century Byzantine monk named Theodore the Studite. There have also been three Tsars of Russia known as Fyodor, the Russian form of Theodore; and of course our American President Theodore Roosevelt (1858-1919). As a name, Theodore was quite common in Greece because of the aforementioned saints. Christians in particular have been drawn to Theodore because of the name's appealing meaning. However, it was very rare in Britain before the 19th century. In recent years, it's ranked in England/Wales at #97. Here in the US, Theodore has always ranked on the Top 1000 chart. In fact, it was in the Top 100 names every year from 1880-1944. It has since then remained in or around the Top 300, currently ranking at #170 for 2013. Theodore was also given to girls from 1901-1988. Other international forms of Theodore include Theodoros, Theodorus, Teodor, Todor, Tudor, Toshe, Teo, Theo, Feodor, Fedor and Fedir. Common nicknames include Theo, Ted and Teddy. Know someone with this name? Share your thoughts about Theodore in the comments below! Today is President's Day in the US! In honor of this, it's time to take a look at the best (and worst) presidential first and last names. At the very bottom, there's also a list of all the names of the country's first ladies. Whether you live in the US or not, surely you can appreciate the names on this list! Without discussing politics, share your thoughts in the comments about which baby name you like (or hate) the most. Would you ever use any of these? Have you already? Since tomorrow is Valentine's Day, I chose to feature the lovely name Valentina today! What else would have been more appropriate? 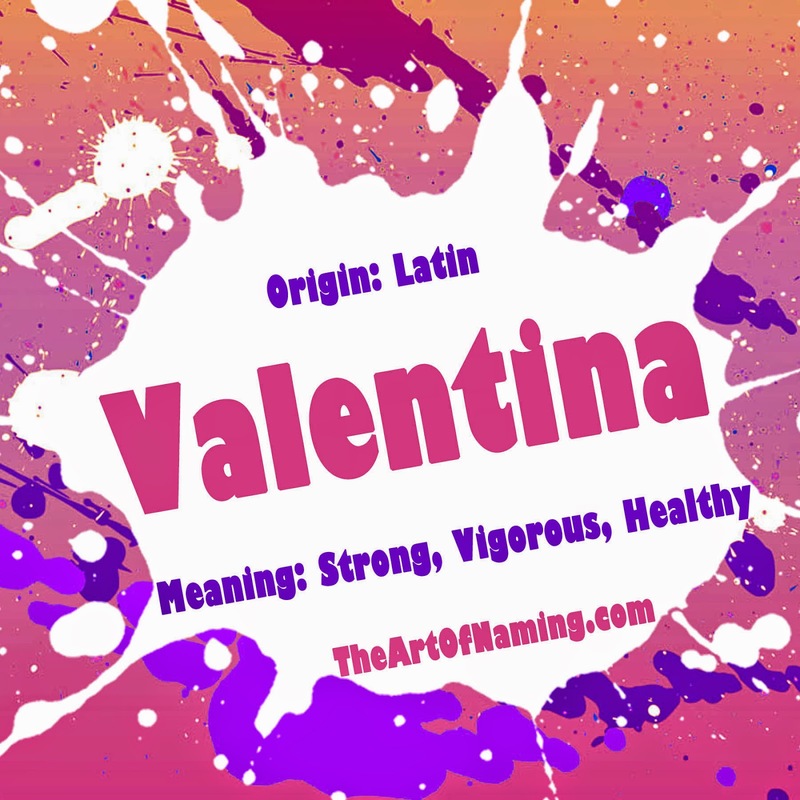 This feminine name comes from the Roman Valentinus or Valens meaning "strong, vigorous, healthy" in Latin. Already this name has a great meaning! What about namesakes? The masculine Valentine was a 3rd century saint and martyr whose feast day corresponded with a fertility festival, thus forever linking Valentine's day with love. A modern day bearer of the name Valentina is that of Soviet cosmonaut Valentina Tereshkova. You may know her as the first woman to ever visit outer space in 1963. There is also Valentina Cortese, an Oscar-nominated actress, and a few celebrity children with the name. In the US, Valentina is doing very well in the popularity department. It first appeared on record in 1897 but it wasn't regularly used until about 1910. It wasn't until 1994 that it entered the Top 1000. Now in 2013, there were 2,542 girls named Valentina with a ranking of #129. If you map out the popularity of this name based on the number of births per year, you'll see the line go straight up starting in the 1990s. Something tells me that this name will continue climbing upwards and could possibly join the US Top 100 soon. This name has usage in Italian, Spanish, Russian, Romanian and more which means that it has ranked fairly well around the world in recent years including #4 in Chile, #11 in Austria, #40 in Spain, #202 in the Netherlands and #340 in England/Wales among others. Don't forget to vote for your favorite and share your thoughts in the comments below! Which Valent- Name Would You Sooner Use? When I was doing research for "romantic" names relating to Valentine's Day, the range of applicable names was rather diverse. But honestly, only a few of these actually make for a good, solid name. Since today is generally a day of love, I instead decided to pick a few names that relate to love through their meanings or associations. Of course this name has to be first on the list. They honor St. Valentine who was a 3rd century Roman saint. He came to be associated with love, romance and devotion. The name itself means "strong, vigourous, healthy". This medieval choice comes from a Late Latin name meaning "loveable". Names like Annabelle, Arabella and Mabel are related. Amabel is a rare but beautiful name with a great meaning! Derived from the Old French name Amée, both spellings of Amy mean "beloved". Other related names include Amata and Amada. A Welsh girl name that straight up means "love". It can also be spelled Cerys but both spellings are very rare in the US. Get right to the point with this lovely name that is taken directly from the French word meaning "desired". It is currently on a popularity decline but still ranks at #629 in 2013. An Old French name, Esme means "esteemed" or "loved". It is also sometimes associated with emeralds which would make for a lovely Valentine's Day gift. These names are all related to one another, coming from the ancient Germanic name Avila. They are said to mean "desired". Who doesn't want to feel desired, especially on Valentine's Day? Such lovely choices for a baby born today. The Norse goddess of love and beauty, (but also of war and death), has a lovely name that is starting to gain some popularity in the US, ranking at #908 in 2013. It has done well in Britain since the early 2000s, too. With Venus being Roman and Aphrodite being Greek, these are the goddesses of love and sexual desire. While these associations may be a bit mature for a baby, they are lovely for a woman. Venus may be the easier-to-live-with name of the two though. While it doesn't have a romantic meaning, Amadeus is partially derived from the Latin amare meaning "to love" (with deus applying the love toward God). Other Am- names that are said to have something to do with love include Amadea, Amara, Amy and the male Amias/Amyas. This is a boy's name that means "blessed love" in Welsh. With a wonderful meaning like that, you can't go wrong! Even better, it's extremely rare in the US. It's only been used since 2012 for a total of 18 babies. Could be a cool alternative to similar sounding names like Carson or Carter. This is a classic name with historical roots, both biblical and royal. It is a Hebrew name meaning "beloved". As of 2013, it still ranks at #18 in the US. If you're looking a rare name, this is it. It's only had a total of 105 recorded births in the US since 1880. Erasmus comes from a Greek word meaning "beloved". While using Cupid as a baby name may be a little over-the-top, his Greek counterpart Eros could actually make for a cool name! Eros is portrayed as the son of Aphrodite, the goddess of love, and is the god of love, desire, attraction and affection in his own right. Cupid means "desire" and Eros means "love". There are more names with similar meanings if you'd like to search more. There are countless more that could be added! However, while these couples may be romantic, not all of them have good stories or happy endings so read up on your knowledge of them before committing the name to the baby's birth certificate. Also, giving one of the above sets of names to boy/girl twins or even siblings might be a little strange since they are supposed to be "romantic" but I won't judge. 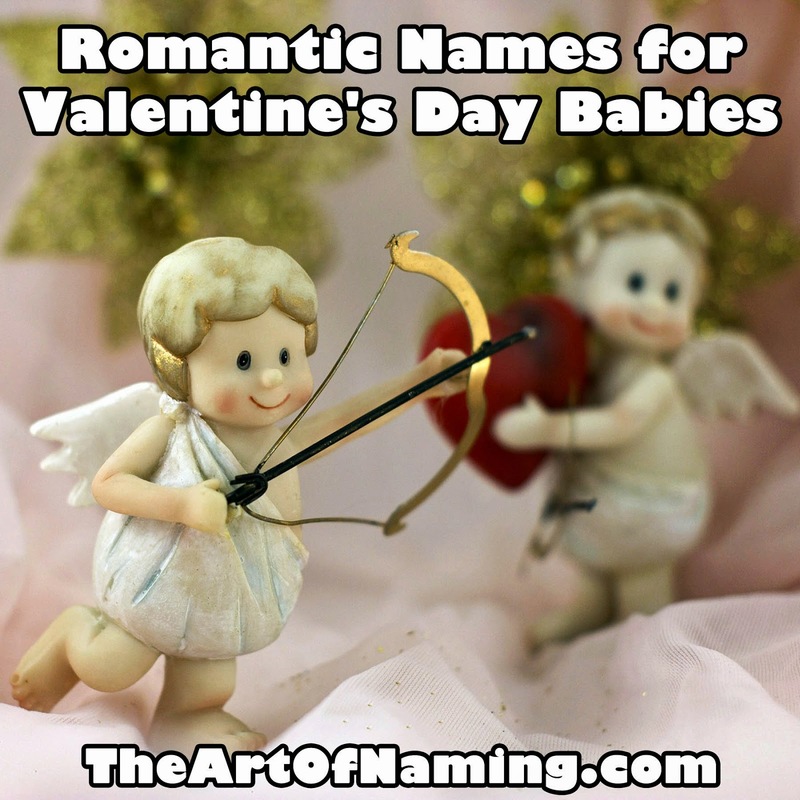 What is your favorite romantic or Valentine's Day related name? Who are your favorite romantic couples in history and literature? Share your thoughts in the comments below! The latest article featuring The Very Best B Names for Boys and Girls had such a great collection that it was difficult to choose just one. In the end, today's featured name is Bridget. 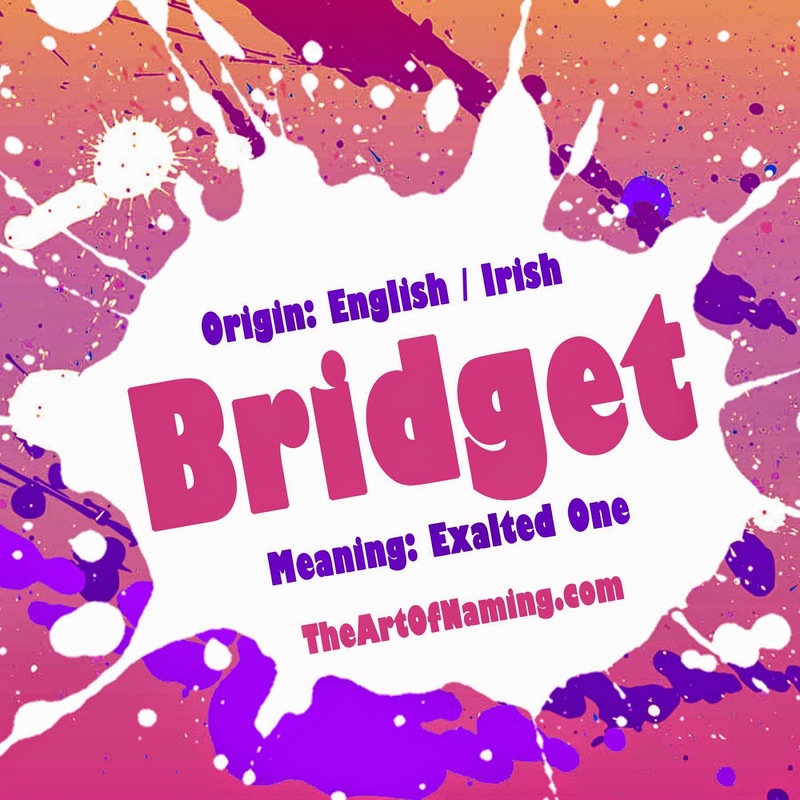 Anglicized from the Irish name Brighid, Bridget means "exalted one". It has also been suggested that Brighid could be derived from the Irish brigh meaning "strength". Other spellings include Brigid, Bridgette, Brigit, and Bedelia. Variations in other languages include the Danish Britta, the Dutch Brigitta, the Finnish Riitta, the French Brigitte, the Italian Brigida, the Manx Breeshey, the Polish Brygida, and the Welsh Ffraid among many others. Were you aware that Bridget was so internationally used? In Irish mythology, there was a goddess of fire, poetry and wisdom named Bridget or Brigid. It was also the name of Saint Brigid in the 5th century, a patron saint of Ireland. This saint was so esteemed in Ireland that the name was viewed as sacred and was not used for children. It wasn't until the 17th century that it gained usage, and when it did, it was insanely popular, so much so that its short form Biddy became the generic name for an Irish any-woman. The Scandinavian version Birgitta became common because of the 14th century saint of Sweden by that name. These days in America, Bridget has been in constant use since before 1880. It began gaining an increase in usage in the late 1940s and climbed even higher up the charts in the 1960s. Bridget peaked in 1973 when the name was given to 2,763 baby girls for a ranking of #112. Since then, the name has declined in popularity. Bridget ranked at #523 in 2013 with only 564 births for the year. This isn't a bad thing though. If you love the name Bridget, you'll be glad to know that it is growing more and more unique every year and that your daughter would be less likely to have another girl with the same name in her class. Revision: As of 2016, Bridget ranks at #594 for a total of 506 births. That is a decrease from the previously mentioned statistics above. Bridget is a spunky and cute name for a modern girl. Since it is less popular and was never truly overly used in a past decade, it isn't considered "dated". It would still be lovely and refreshing to hear it on the playground today. What do you think of the name Bridget? Or do you prefer a different spelling or variation? Don't forget to vote for one below! Which variation is your favorite? 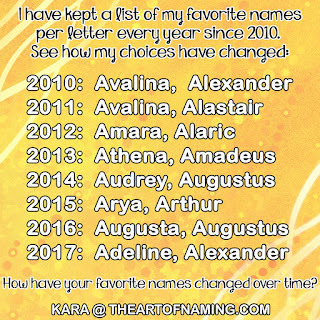 When you are in need of an amazing baby name, where do you look? A baby name book? A website with a database full of names? Your family tree? ...A phone book? All of these options will provide great names, I'm sure, but they may also be a bit overwhelming in size. A book can be a couple hundred pages long with a few thousand names in it. Baby name databases online could hold 100,000 names or more! How are you ever supposed to track down the perfect name for your child? You're in luck! If you happen to be a fan of names that begin with the letter B, you may find a winner on the lists below. 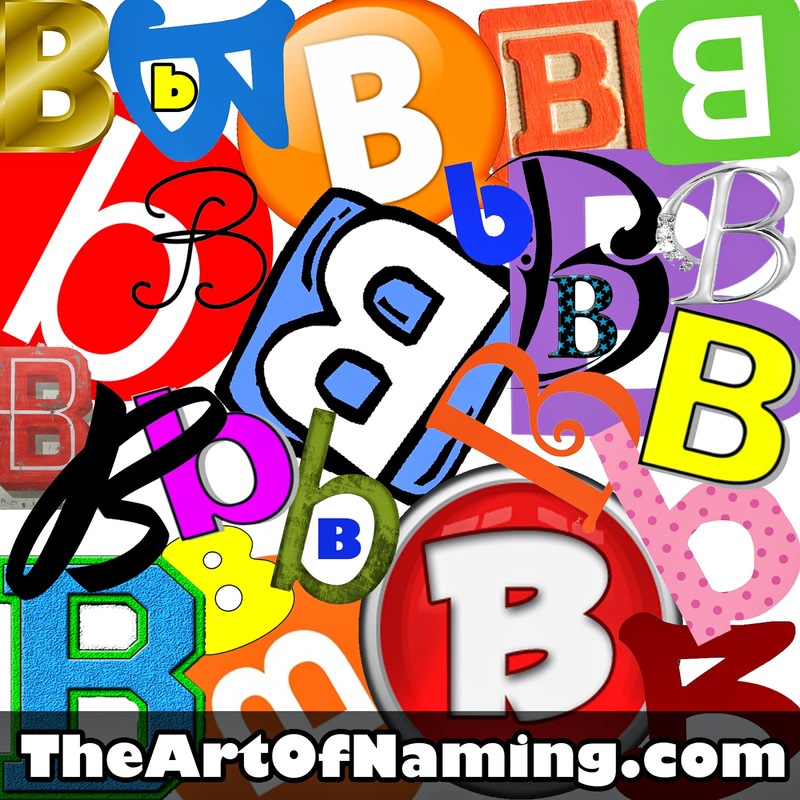 I sifted through hundreds of B names to handpick 50 of the very best options available to you. There are 25 for girls and 25 for boys. I hope you'll fall for one of them! So? Which of the above names do you like the most? Have you found your match? If not, don't fret. There are plenty more names in store for you if you follow this series.